These days a smoothie bowl seems to be my go-to before a big day in the studio. They are the perfect little powerhouses as you can make them as nutrient dense as possible without feeling you’ve eaten Sunday brunch. My Cherry Pie Smoothie Bowl is the perfect introductory blend for anyone new to the ‘smoothie bowl game’ as it tastes more like dessert then a breakfast option. Feel free to change the recipe to tailor what you like; using blueberries instead cherries, peanut butter instead of chia seeds and adding greens such as kale or spinach to up your daily vegetable intake. 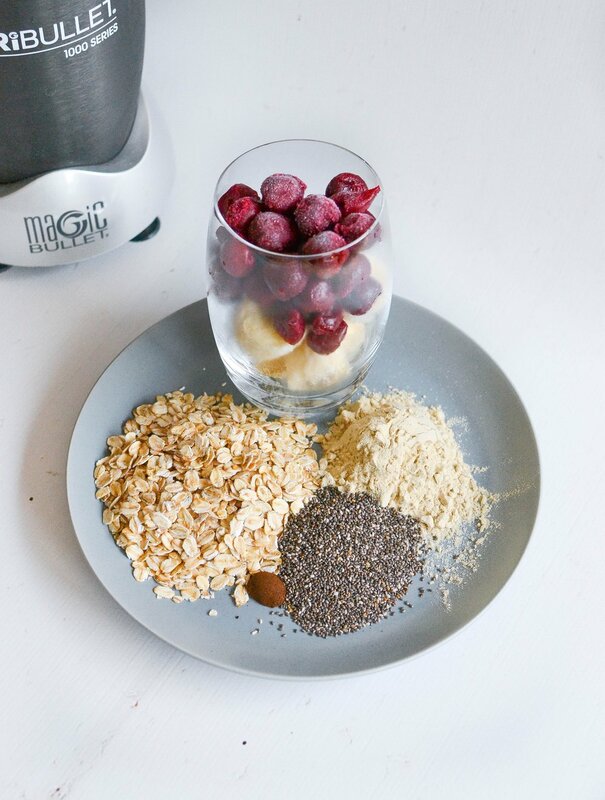 In your blender add banana, cherries, oats, protein powder, vanilla, chia seeds, milk, water and blend until smooth. Pour into a bowl and top with suggested toppings or your favourite granola. PS: Be sure to check out my last recipe 'Festive Balance Bowl', and tag me @ballerina_bites on Instagram so I can see your wonderful recreations!